The NOCO Genius GEN Mini 3 is an On-Board Battery Charger for charging and maintaining three 12-volt Marine, Starter or Deep-Cycle battery. The NOCO GENM3 is waterproof, shock and vibration resistant rugged design can be mounted directly onto a variety of applications, including a boat, trolling motor or generator, as well as, a full range of electric vehicles and industrial equipment. 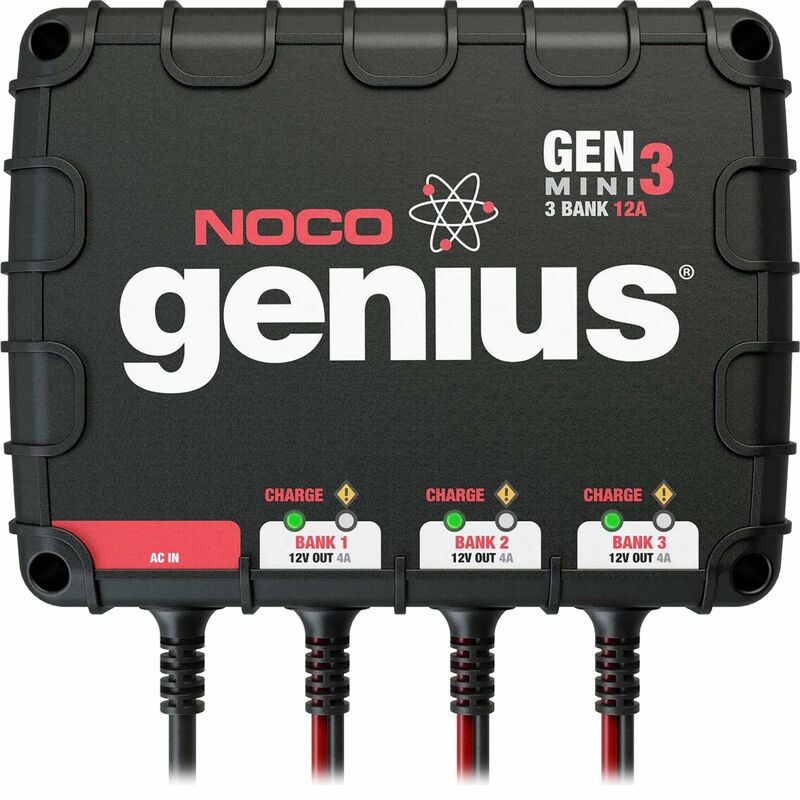 The Gen Mini 3 monitors battery activity for safe, fast and efficient charging of Wet, Gel, AGM and Maintenance Free batteries without the worry of overcharging. 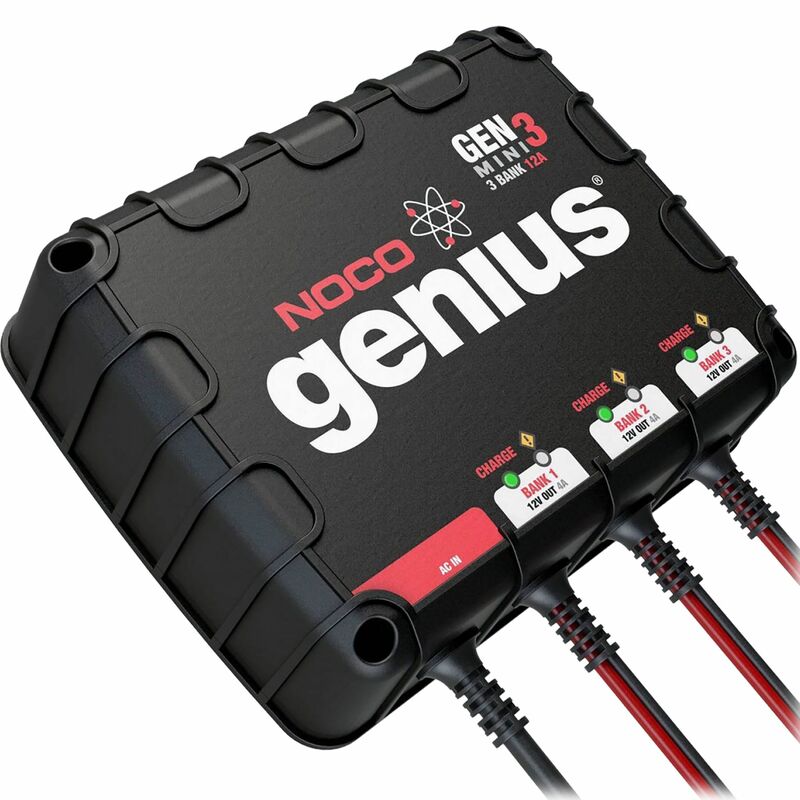 And it's one of the most advanced charging systems designed for improved battery performance and longevity. 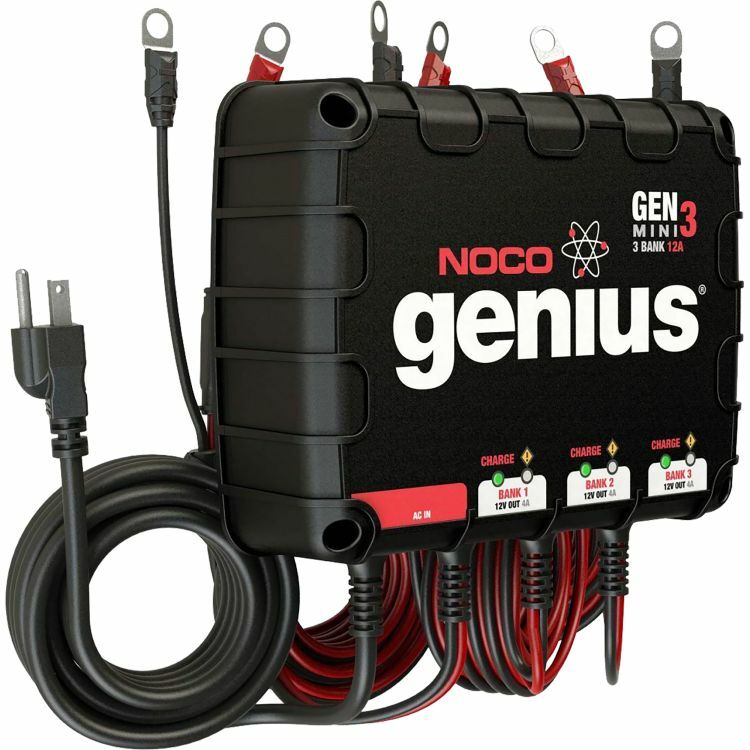 Charges starter and deep-cycle batteries up to 120Ah per bank. Battery Capacity: Ideal for Batteries Between 20 to 120 Amp-Hours per bank. Suitable for Maintaining All Battery Sizes. Do you own the GENM3? Please, tell us what you think about it. It helps us provide you with better products. Please note that it may take up to 72 hours for your review to appear.